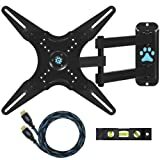 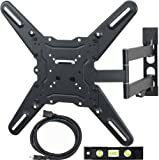 This mount fits essentially all 32-65″ TVs sold today. 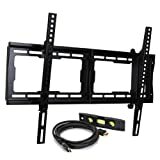 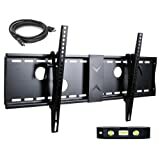 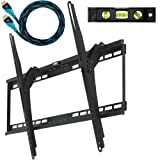 Specifically, it fits TVs with mounting holes as close as 4″x4″ or as wide as 27″x16″ (in TV terms – VESA 100×100mm to 684×400mm). 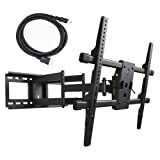 Content: TV wall mount, 10 ft HDMI cable, Bubble Level, standard hardware pack and user manual; Assembly required.